When Cummins entered its #28 Special racecar in the 1952 Indianapolis 500 Race, the company wasn't looking to get into the racing business. It was trying to prove a point about diesel engines, and boy, did they succeed. <img width="150" src="http://www.automotive-fleet.com/fc_images/news/m-morgan-truck-body-1.jpg" border="0" alt="
Medium-duty truck body manufacturer Morgan Corporation has announced plans to expand its manufacturing footprint in the Midwest. The company is actively searching for a site in Kentucky, Ohio, Indiana, or Michigan to select a location capable of supporting production of up to 3,000 truck bodies annually. Morgan plans to open the facility and become operational in 2017. The facility will have a footprint of around 160,000 square feet and Morgan expects to employ approximately 175 team members. Morgan produces truck and van bodies in North America specializing in Class 3 to Class 7 box truck/straight truck bodies for the dry freight and refrigerated industries. For more information, click here. J.J. Keller & Associates has introduced Vehicle Inspections: Tractor Trailers, a new training program that gives drivers a comprehensive and streamlined examination and explanation of required inspections. Using video techniques and technology, Vehicle Inspections: Tractor Trailers shows a standard vehicle inspection from the driver's perspective. The high resolution video provides a detailed view of complex parts and the program includes two bonus videos covering intermodal chassis and refrigerated trailers. 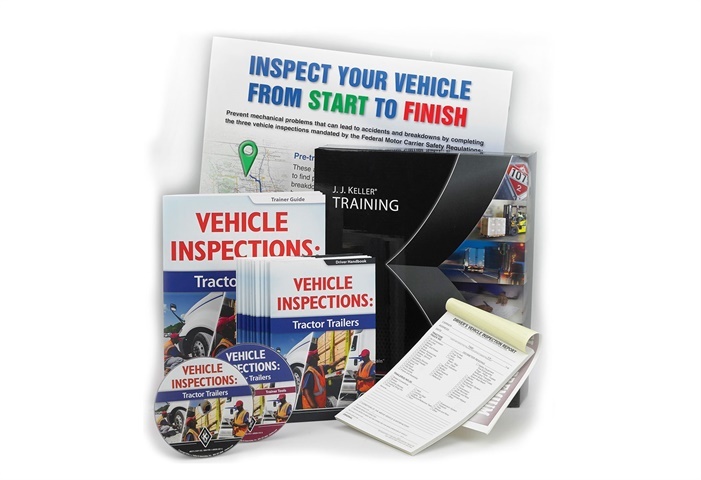 The training teachers drivers how to conduct pre-trip inspections, when and how on-the-road inspections must be done, how to conduct post-trip inspections, when DVIRs are required and how to complete them and the importance of using the same inspection routine every time. Vehicle Inspections: Tractor Trailers will be available in mid-August on DVD, tablet-compatible Pay Per View and Online Course, and Video Training Book — a new, portable format that puts video-based training directly into employees' hands, with no internet connection required. Road Choice Truck Parts, an all-makes private label brand for heavy-duty truck and trailer parts, has added 40 parts categories to its overall product portfolio. 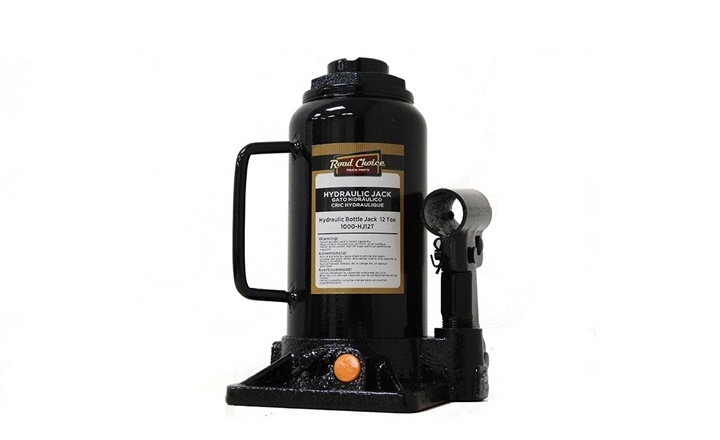 New offerings include, wheels, filters, anti-freeze and coolants, hydraulic bottle stands and jack stands, DEF, grilles, spray paints and fan belts. All of Road Choice's parts are covered by a minimum one-year warranty, providing owners of out-of-warranty trucks with options for truck parts. Road Choice parts are available at more than 500 dealer locations in the U.S. and Canada. The company's selection of all-makes parts and a list of authorized Road Choice Truck Parts retailers are available on the Road Choice website. WASHINGTON, DC — Oct. 16-22 marks the latest scheduled enforcement blitz for North America's commercial motor vehicles as part of Operation Safe Driver Week. The Commercial Vehicle Safety Alliance says it will engage both commercial vehicles and passenger vehicles work in harmony. Interactions between the two camps continue to be the leading cause of collisions. Driver behavior is the critical reason for more than 88% of large truck crashes and 93% of passenger-vehicle crashes, according to the Federal Motor Carrier Safety Administration's Large Truck Crash Causation study. Commonly dangerous factors include speeding, failure to use a seatbelt while operating a CMV or in a passenger vehicle, distracted driving, failure to obey traffic control device, traveling too closely, and improper lane changes. Law enforcement officers pulled over 21,012 commercial motor vehicle drivers and passenger vehicle drivers during the Commercial Vehicle Safety Alliance's (CVSA) 2015 Operation Safe Driver Week. Additionally, 19,480 North American Standard Roadside Inspections were conducted by CVSA-certified inspectors on commercial drivers and vehicles. U.S. sales of medium- and heavy-duty trucks in July saw their largest drop in almost seven years, Ward's Auto reports, and it was a similar story for sales in Canada.